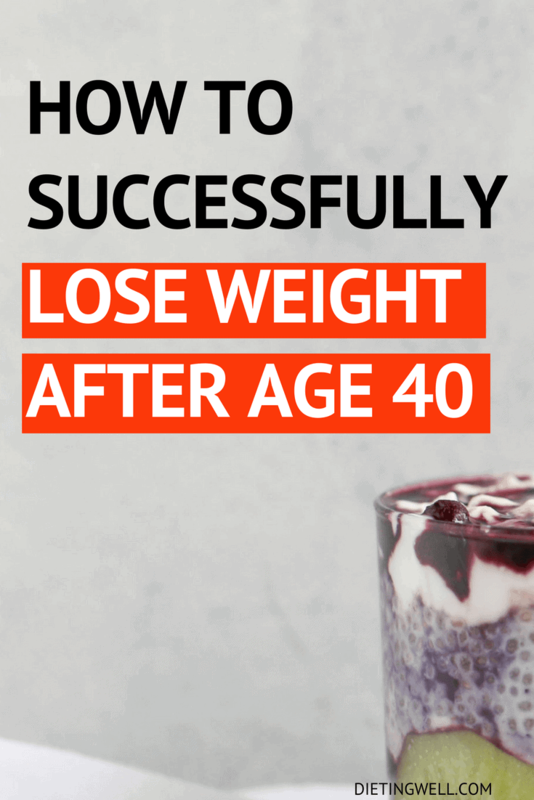 You need a new approach for weight loss after 40. Instead of quick fixes that don’t work, here are seven steps to take to develop healthy habits and combat weight gain. 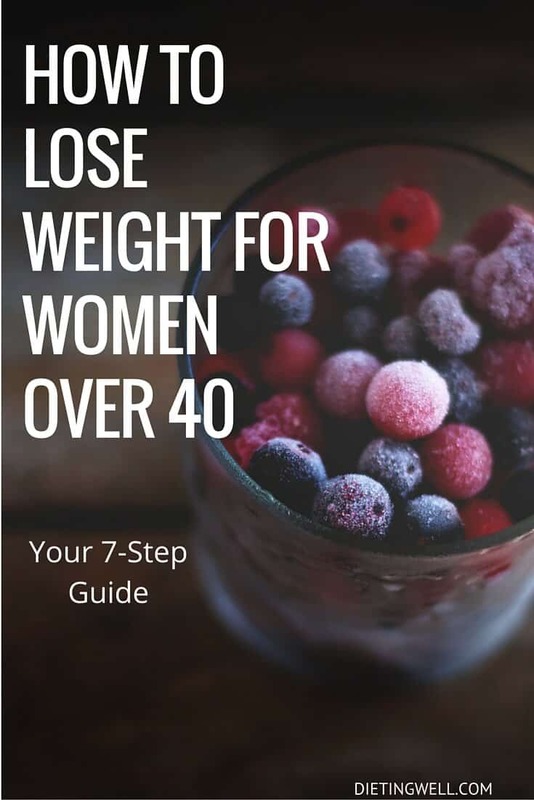 It’s no secret that losing weight after 40 can be difficult for some women. As you age, you begin to lose muscle mass, causing your metabolism to slow down. Add to the slow metabolism a dose of wildly fluctuating hormones and you have the perfect recipe for weight gain. Weight gain after 40 no longer translates into only a tight-fitting pair of pants. You are now at increased risks for a wide range of diseases, including depression, high blood pressure, and diabetes. If you are trying the same tricks and tips you used in your 20s and 30s, you will find they no longer work. Cutting back on dessert and spending an extra hour in the gym would result in a five pound weight loss. It seemed effortless, but why don’t those tricks work for you after forty? Your body doesn’t respond the same way it did as in your 20s. Here are seven steps required to successfully lose weight after age 40. Why it works: As you age, you begin to lose muscle mass. Your metabolism, the rate you burn calories, is tied directly to muscle mass. A pound of muscle, at rest, burns about six calories per hour. Compared to the measly two calories a pound that fat burns, you can see why retaining as much muscle mass as possible is vital in losing weight. Furthermore, lifting weights has the extra benefit of helping women maintain bone density during menopause. One of the best ways to increase your muscle mass is to lift weights. Don’t worry. Lifting weights will not give you a big, bulky look. Instead, your muscles will tighten and you will achieve a slimmer appearance. Also, don’t be afraid to lift heavier weights. You do not need to stick with the little pink dumbbells. How to do it: Lift weights three to four times per week. Alternate the targeted muscle groups. For example, if you lift weights for your arms, shoulders, and upper body on Monday, dedicated Wednesday’s weight lifting session to legs and lower body work. Don’t overlook the convenience of body weight exercises. Squats and lunges can be performed in your own living room without any special equipment. Push-ups and pull-ups are also good alternatives to weight rooms and gym apparatus. Why it works: It should come as no surprise that processed foods are generally higher in calories, unhealthy fats, sodium, and sugar than whole foods. Eliminating processed foods can have one of the largest impacts on your weight. Skip the fad diets and simply eat whole foods. Whole foods are foods that have not been overly processed or have added additives or artificial ingredients. For example, skip the breaded, frozen chicken nuggets and opt for a simple grilled chicken breast. Typically, foods full of sugars and starches are often processed. Skip the sodas and sugary drinks and stick to water. You don’t need to shy away from dairy. 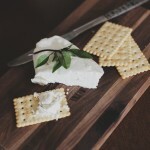 In fact, current research is showing that higher levels of dairy intake help prevent weight gain in middle-aged women. How to do it: Instead of thinking about cutting out foods, change your mindset so you are thinking about adding healthier foods into your diet. You may find that your cravings for carbohydrates and sugary foods wane as you opt for healthier alternatives. When you do make changes to your diet, do so gradually and in small increments. Remember, you are working on developing a lifelong habit of healthier food choices, not jumping on the next bandwagon diet. Why it works: Portion sizes have greatly increased, and in some cases, it has doubled and even tripled! As portion sizes increase, so do waistlines. However, as you age, you actually need fewer calories. As creatures of habit, you tend to eat the same foods in the same amount. An extra 100 calories per day can translate into a ten-pound weight gain over the course of the year. How to do it: One of the easiest ways to limit your portion sizes at home is to use smaller dinner plates. Just like the growing portion sizes, dinner plates have grown. Utilizing the smaller luncheon plate gives you a more accurate estimate of proper portion size. When eating out, split your meal, order from the children’s menu, or even pack half of your entree to-go and save it for another meal. Consider using one of the popular food tracking apps to keep a food diary. They make keeping track of calories easy and can provide more in-depth information such as your highest caloric foods, what time you tend to eat the most, and other useful data. Slow down your eating. Take your time chewing your food. Sit around the table with family and friends and enjoy a leisurely meal. This will give your stomach more time to let your brain know when it is full. Also, avoiding the TV during meal times will help you consume less food. Why it works: It’s a common misconception that you have to be engaged in a high impact activity to get aerobic benefits. As a matter of fact, walking is one of the best exercises for you. It’s low impact so it is easy on the joints and it engages the major muscle groups in your body. Too much sitting is bad for you and contributes to weight gain. A good way to counteract all that sitting is by walking. Walking after your meals also aids in weight loss and helps control blood glucose levels. Furthermore, walking can help alleviate, or at least ease, body aches and pains. In particular for middle-aged women, walking is associated with less weight gain and even mitigates the effects of aging. How to do it: You already know how to walk, so this becomes a case of how to fit more walking into your already busy day. Start with the obvious and easiest tips: park farther away, take the stairs, take the dog out for an extra walk. Research is beginning to show that using an activity trackers combined with an online social network can increase activity and enhance weight loss. Popular fitness tracking devices, like Fitbit, allow for competition among your friends to see who can take the most amount of steps per day. Why it works: For a myriad of reasons, you are not getting all the nutrients you need out of your food. Perhaps your diet isn’t as healthy as you would like. Maybe nutrients were lost during the ripening and delivery process. For whatever reason, supplementing your diet with vitamins can be a boost to your weight loss. Solid research is coming out that is very convincing of the need to supplement with a vitamin regime. Omega 3 fatty acids such as those found in fish oils are shown to have significant health benefits, including those associated with heart disease. As women age, the need for calcium is actually increased to help prevent osteoarthritis and osteoporosis. This is also good news for women looking to lose weight. Calcium supplements may also aid in weight loss. Additionally, Vitamin D3 is showing some promising results in studies concerning older women and weight loss. How to do it: Vitamin supplements may include a general daily multi-vitamin, high quality Omega 3 Fatty Acid, and Vitamin D3 with Calcium. Other options to consider include live culture probiotics and green tea supplements. Omega 3 Fatty Acid capsules are available in most supermarkets and health food stores, and there is a good selection of Omega 3 Fatty Acid supplements on Amazon. Why it works: You may not be woken up by crying babies any longer, but women over 40 may still not getting the sleep they need. Sixty-one percent of menopausal women are afflicted with insomnia. Fluctuating hormones can interfere with sleep and even turn a morning person into a night owl. These changes in the sleep patterns lead to fatigue and low energy levels. Low energy levels translate into decreased physical activity and cravings for high carbohydrate foods. Simply not getting enough sleep can cause weight gain and lower your overall quality of life. How to do it: Create a comfortable environment for sleeping. Select soft lighting, eliminate TV and other electronic screens, and turn down the thermostat for a cool room. Design a sleep schedule that works best for your lifestyle and stick to it. Going to bed and waking at the same time will help your body adjust to a natural sleep/wake cycle. Eat more protein throughout your day. It may seem strange to list food among tips for getting more sleep, but studies show that increasing your protein intake make for a better night’s sleep. Additionally, avoid caffeine and alcoholic beverages before bed. Why it works: Individuals who are stressed lose less weight than non-stressed people. Cortisol, also known as the stress hormone, is released during times of stress. It regulates many of the body’s responses to stress, including blood sugar levels and metabolic rates. Too much cortisol makes it difficult to lose any weight. It is imperative that any attempts at weight loss include a stress management program. How to do it: One of the best ways to manage stress is through exercise, particularly yoga. Yoga has been known to release mood-elevating chemicals within the body, and it is effective in promoting weight loss. Other options include meditation or tai chi. Volunteer. Spending your time helping a worthy cause combats cortisol. You will feel better about yourself and have a sense of accomplishment. Spend time in nature. Our brains seem to work better in nature. If you can’t get out in nature, research suggests that merely listening to the sounds of nature can reduce stress and cortisol. 1. Yoga. Yoga and Pilates are fantastic for women looking to lose weight, and the benefits do not stop there. It has been found to improve circulation, strengthen core muscles and increase flexibility. Yoga is also very calming and is an effective stress reliever. 2. Coenzyme Q10 supplements and omega-3 supplements can help you shed pounds in a healthy manner.. Not only can they increase weight loss, they also support healthy heart and brain function. If you want to try Coenzyme Q10, then there is a good selection on Amazon with tons of customer reviews. 3. Take Your Time. One of the biggest obstacles to weight loss is portion size. Oftentimes a person will keep eating long after they are full simply because they ate too fast for their body to communicate that fact. To combat this, try chewing slower, drinking water while you eat and engaging in conversation throughout the meal. 4. Early Morning Cardio. When you first wake up in the morning, your body has essentially been reset and has a calorie deficit. To take full advantage of the morning hours, try going for a jog before eating breakfast. Research indicates that cardio on an empty stomach capitalizes on the body’s fat burning capabilities. 5. Avoid Exercise Ruts. Aging causes the metabolic rate to drop, which often leads to weight gain. Switching up your exercise routine can give your metabolism the boost it needs. Changes to your workout will also help you avoid a weight loss plateau. 6. Bedtime Snack. Recent studies suggest that drinking a protein shake before going to bed could kick start your metabolism. This could be especially helpful for individuals over 40, as age causes a decreased metabolic rate. 7. Preparation is Key. One of the best ways to set yourself up to be successful in your weight loss journey is to be prepared with healthy snacks. Protein bars, almonds and fruit are all excellent snack options and will help curb cravings. 8. Jump In. Swimming is one of the best exercises out there, and it is also low impact. It is a great option for anyone who cannot partake in conventional exercise due to knee pain, back pain etc. Swimming is a heart healthy exercise and helps build endurance while burning calories. 9. Eat More Fish. Fish is rich in Omega-3 fatty acids, which are excellent for heart health and the prevention of cardiovascular disease. Fish is also an excellent source of protein. Women who do not get enough fish in their diet are encouraged to take a fish oil supplement. 10. Green Tea. Green tea is very popular for individuals trying to lose weight. Not only does it taste great, it also contains caffeine and antioxidants. Caffeine is a known fat-burning stimulant, and antioxidants such as EGCG increase metabolism. 11. Catch More Z’s. Sleep is essential for weight loss. Lack of sleep can be detrimental to weight loss efforts, as sleep plays a vital role in appetite and hormone control. Those looking to lose weight should be mindful of how much sleep they need, and how much they get. 12. Eat Your Vegetables. Don’t just eat your vegetables, try to eat them first. Vegetables are loaded with nutrients but contain very few calories. Filling up on vegetables will help you eat less high-calorie items on your plate. 13. Calcium. As you get older, it becomes more difficult for your bones to absorb calcium. A strong frame is essential for an active lifestyle. Low fat dairy products are ideal for those looking to slim down, as they have less calories but roughly the same amount of calcium. 14. Choose Your Calories. Be mindful of the calories you are consuming. Skip the bread basket when you are out to eat. Remember not to drink your calories. It doesn’t matter how well you watch your diet if you are drinking tons of sugary drinks or alcohol. Losing weight after forty isn’t impossible, but it does take a more deliberate approach. Embrace the life experience and lessons you have learned to enhance your weight loss. Patience and persistence, both skills developed over a lifetime, turn these seven steps into healthy habits that will last your entire life. So what’s stopping you from losing weight ? Tell me your challenges in the comments. Losing weight at an older age so hard because of the metabolic system slows down and that is why it is hard to lose all the calories from the body. But still there are ways to fight this situation. Like eating foods that helps to boost metabolism and doing yoga or cardio or any kind of workout daily. Thanks for posting this, it’s a very informative post. I am 59 and have been on a injury / weight gain cycle for several years. I have never been overweight till my first accident , then I gained weight and kept gaining and now that I am almost 60 , I want that great body and high energy back. The older I get the more problems my weight causes , legs hurt , falling asleep in my chair , I am too young for that. So I am eating better and boxing , which is a great workout . I plan to sky dive for my 60th next year. Informational article for those looking for information to lose weight. My husband and I are boaters and we love to entertain. That usually includes alcohol. I can certainly reduce, and even be the zero-hero DD sometimes but total abstinence from alcohol isn’t realistic. Could I increase exercise to offset the calories in alcohol? Vodka, rum, gin, tequila, whisky have 0 carbs. Mix with water. You can’t really offset the carbs if you choose to add mixers. The calories aren’t a problem. plant food, grains, or other foods. GOD created us to eat these foods. Man played God , by eliminating healthy foods. This has to stop. are gone. It has taken me 8 mos. To lose the weight. It s a struggle . This is a great article. I appreciate all this insight and help as hitting 40 a few years ago was a shock to my body for sure. I would also add to your stress reducing ideas to spend some time reading the Psalms in the Bible. The God who created you longs to take your burdens and teach you how to stop trying to solve all your problems on your own. He is there to show you the way to stress reduction and a while new/better way of doing life. If you don’t know God or how you can start a personal 1-on-1 relationship with Him, check out some of these helpful apps in the App Store: Knowing God Personally (by Power to Change), God Tools (by Cru), Life Conversation Guide (by North American Mission Board), or talk to a pastor at a local Christian church in your neighborhood. My rule of thumb is that while working to take care of my physical body throughout my lifetime, I never want to neglect my soul that will continue on for all eternity.